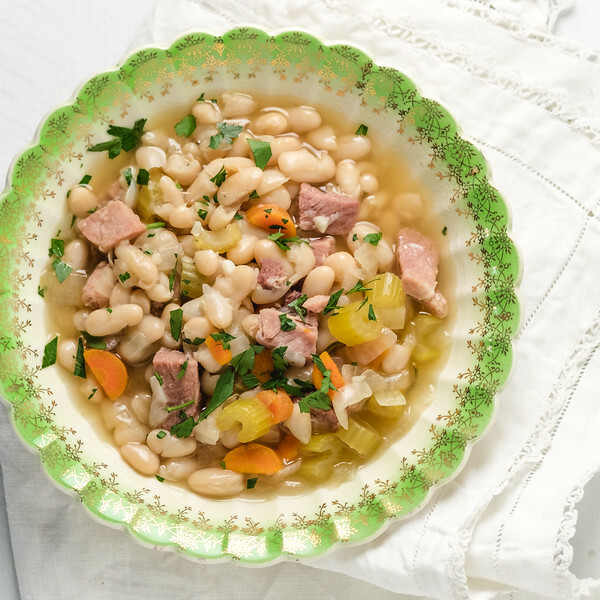 Instant Pot Ham and Bean Soup – an Instant Pot makes this classic soup ready in about an hour! So rich and comforting, it tastes like it’s been simmering all day. A hambone or leftover ham, white beans, carrots, celery, onions and optional rosemary create this amazing bowl of soup! Everyone loves this yummy soup! 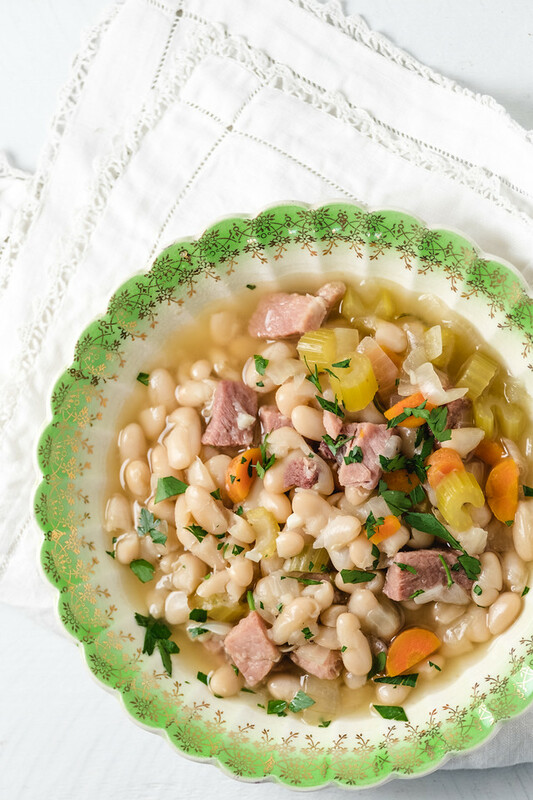 Click here to pin this Instant Pot Ham and Bean Soup now! When I was young, I actually did volunteer work at a hospital just because every Thursday they had Senate Bean Soup. I loved it that much then and I continue to love it now! You might be wondering is there a difference between ham and bean soup or senate bean soup (or you might not be and it’s just me who ponders weird things like this.) I actually thought they were the same thing, but it turns out that Senate Bean Soup is much simpler. Senate bean soup contains ham hocks, navy beans, and onions. This is the version I remember from the hospital and while I loved it, I add carrots and celery to mine. Mainly because practically every single soup I make starts out with carrots, celery and onions – which is also called a French mirepoix. The big question that comes up with making Instant Pot Beans is whether to soak or not soak beans. You will find everyone has an opinion and the side that they fall on. Having cooked beans weekly in my Instant Pot, I am firmly on the side of soaking. Yes, you can make good beans without soaking, but I think you can get more evenly cooked consistent beans with soaking. It doesn’t have to soak overnight, I start mine soaking in the morning. In the morning, I place 2-3 cups of dried beans in a medium bowl. I cover the beans with water by about 3 inches and let them soak until it is time to start cooking. Then I drain and rinse them. 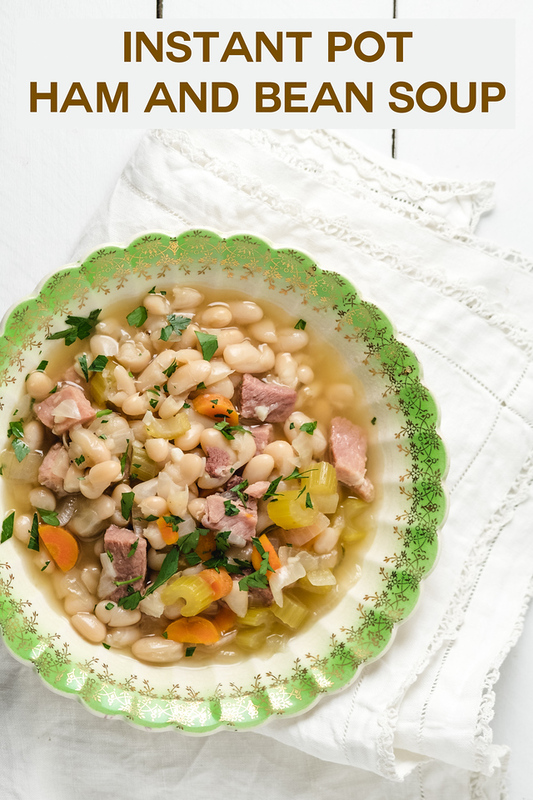 Making this Instant Pot Ham and Bean Soup is so easy! It is the perfect use for leftover ham. Use whatever white beans you have or like. I’ve made this with great northern, navy and cannellini and they all work! This is a great way to use leftover ham. After I cook a ham, I usually freeze several bags with about 4 cups of cubed ham in each one using my food saver. I used one of those bags for this soup. I also freeze the ham bone, which is even better in this soup! This recipe will work in both a 6 quart or an 8 quart Instant Pot. Even though there are only two of us, I have an 8 quart so that I can make lots of leftovers to freeze. I put my FoodSaver to good use! I added a sprig of rosemary to these beans, but it is totally optional. To salt or not to salt. There is a huge debate on whether or not to salt beans while cooking. I salt them at the beginning just like I do everything that I cook and my beans always come out tender and perfectly seasoned. With this recipe, I use less salt depending on how salty the ham is. Start soaking the beans in the morning. When you are ready to cook, chop the carrots, celery, onions and garlic. Turn the Instant Pot to Saute and cook the vegetables for a few minutes and then add the ham. Saute for a couple of more minutes. Press Cancel to turn the instant pot off. Add the beans, broth, water, rosemary sprig (if using) and salt and pepper. Lock the lid on the Instant Pot, make sure valve is set to sealing. Set for High Pressure with a time of 20 minutes. After the 20 minutes when the Instant Pot beeps, let the pressure reduce naturally for 10 minutes. Then turn the valve to unsealing and let the pressure release. When the pressure indicator has dropped, unlock the lid. 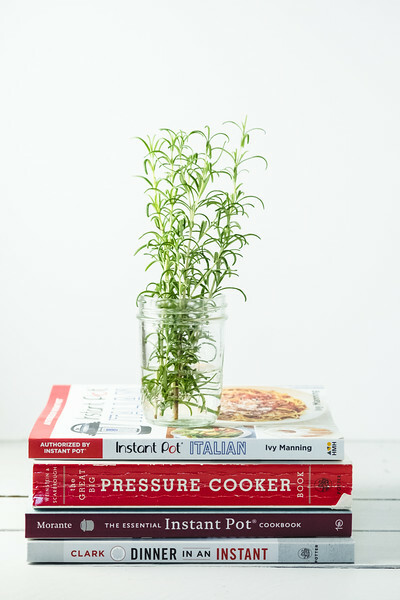 Remove the rosemary sprig, stir and taste to adjust seasoning. 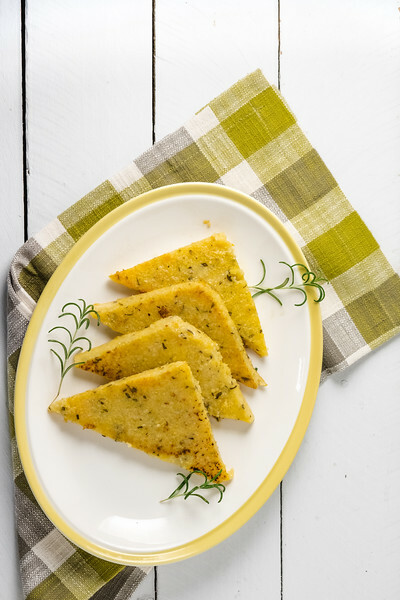 No more standing over a stove stirring with this Instant Pot Herbed Polenta. 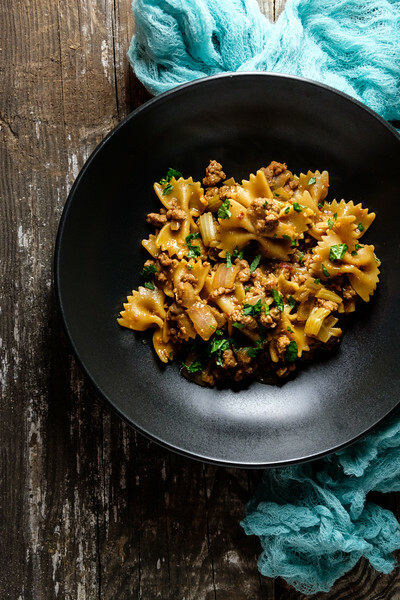 You can cook pasta right in the pot with your sauce in this Instant Pot Ground Pork and Pasta! I miss soup weather already and as Bart Simpson said *…you don’t make frinds with salad . . . “. Unless you have bookmarked some of those delicious ones here on Sidewalk Shoes. Sorry to ask but I don’t understand when do I add beans to the pot. I’m new at this instant pot recipes. Thank you so much for noticing I didn’t mention when to add the beans!! You add them when you are adding the broth and other ingredients! I’ll email you! I love hame and beans but we usually make them in the slow cooker! i have to try this much easier version in the Instant Pot! Me too! I’ve always made them in the slow cooker, I like the Instant Pot better! My husband loves Senate bean soup and I’m sure he’ll love this too! You’ll have to see what he thinks. Ooooh another great recipe for my Instant Pot! That looks like a delicious ham and bean soup! I love that it has a lot of broth!